I am a firm believer that everyone should know how to read a nutrition label in support of their health and fitness goals. The reason you want to learn how to read a nutrition label is so you can LEARN about the foods you eat, and their composition of nutrients. 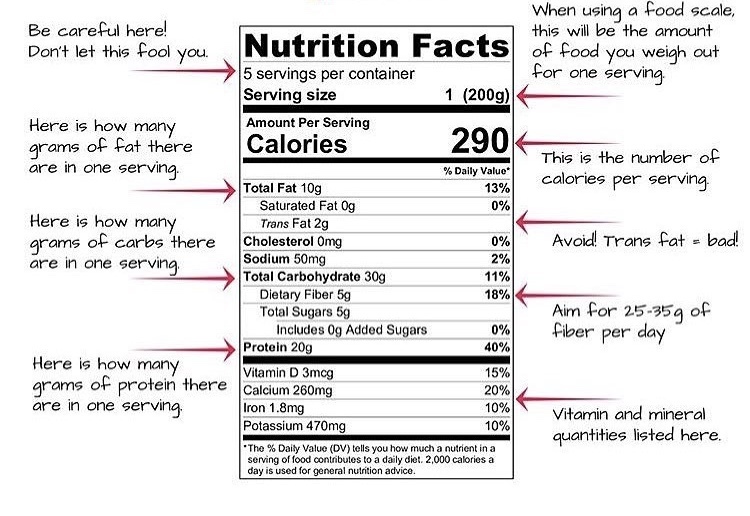 And one of the best ways to learn how to read a nutrition label is to read a nutrition label! But how? Keep in mind that on a nutrition label you’ll see “servings per container” or “number of servings” along with “serving size”. This is important to keep in mind so that you don’t end up eating the whole container that has 5 servings while only tracking one serving. Calories. The calories shown are per serving, not per container — unless there is only one serving per container. Macronutrients (protein, carbs and fats). They are listed in grams on the food label (per serving) and will add up to the number of calories listed above. You can see more on this in depth if you swipe to the second infographic. Other things to consider are types of fats, fiber, sugar and vitamins/minerals. 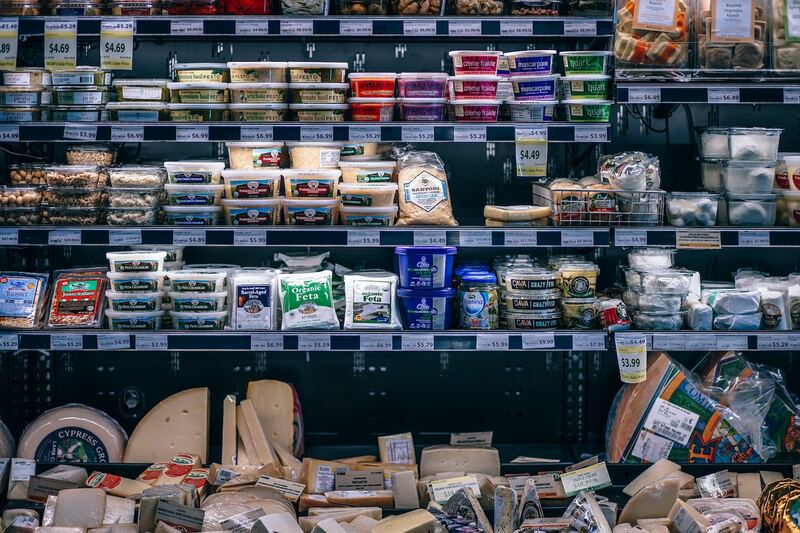 We ideally want to avoid trans fats, incorporate 25-35g of fiber per day, limit processed sugar and eat nutrient (vitamin and mineral) dense foods. Agave syrup, anhydrous dextrose, beet sugar, brown sugar, coconut sugar, confectioners powdered sugar, corn syrup, high fructose corn syrup, HFCS, honey, invert sugar, dextrose, lactose, malt syrup, maltose, maple syrup, molasses, nectars (peach, nectarine etc), raw sugar, sucrose, white granulated sugar.